The frame on 84 DJ was rusted out. So I got a new frame from AAA Motors. Also. 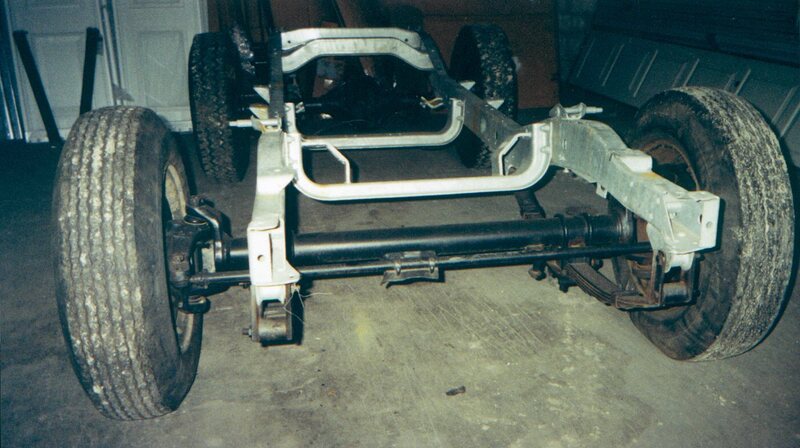 I upgraded to the heavier/older '75-'79 DJ axles (see the ball joints-no king pins. )Now the jeep would have 15" instead of 14" tires.